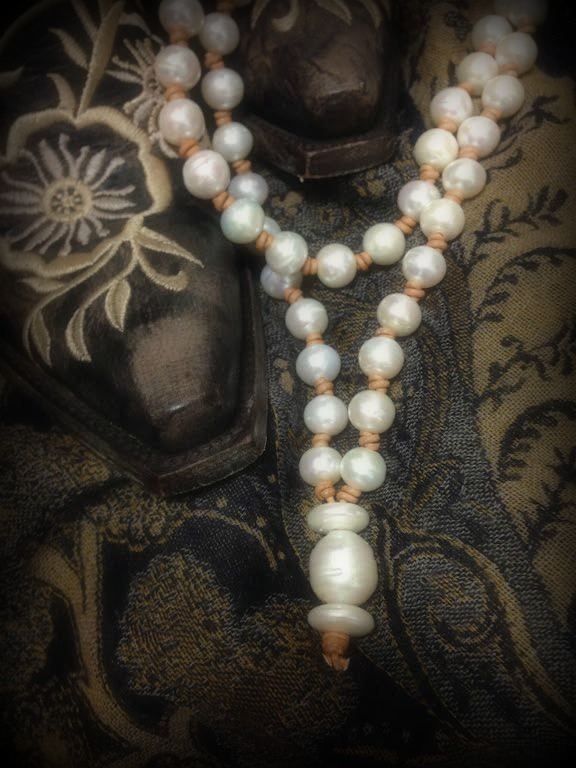 Description Long freshwater pearl necklace with extra large baroque pearl nestled between two coin button pearls. Leather color of your choice (saddle shown in picture). This necklace can be worn long or doubled and worn short.